Windows 8 brings, in many ways, the greatest change that has happened to Windows since its inception. In this article, I hope to present an informal but informative review about Microsoft’s newest operating system. While booting into Windows 8, the first thing I noticed was the sheer speed. (For the record, I have a Thinkpad E430 with an Intel Core i5-3210M and 4GB RAM, the same specs as the entry-level Macbook Pro.) It had taken over thirty seconds to boot into Windows 7, but Windows 8 boots in fifteen seconds or less. Then, the new start screen presents itself as an array of colorful tiles, representing the preloaded apps. These are Windows 8 type apps—they are acquired from the Windows Store, and run fullscreen just like any phone or tablet app. But what about apps from previous versions of Windows? Those still run on Windows 8. In fact, most apps compatible with Windows 7 will run on Windows 8. They install the same way as they have in previous versions of Windows—on the desktop, which is a tile itself. 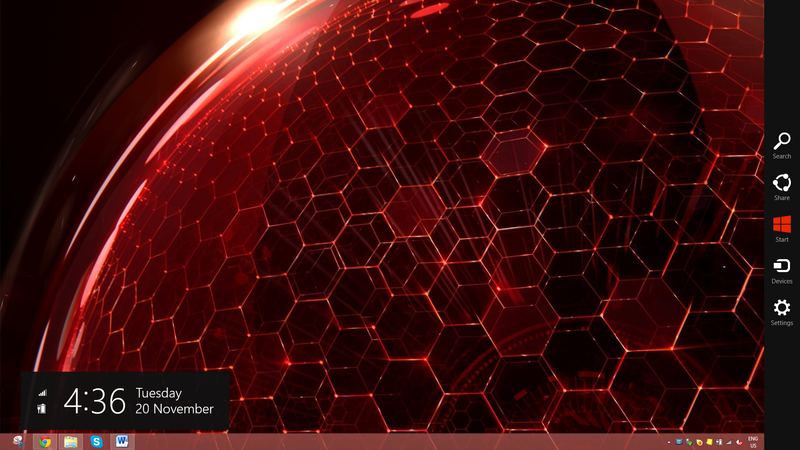 You can still pin apps to the taskbar, and also pin them to the start screen. 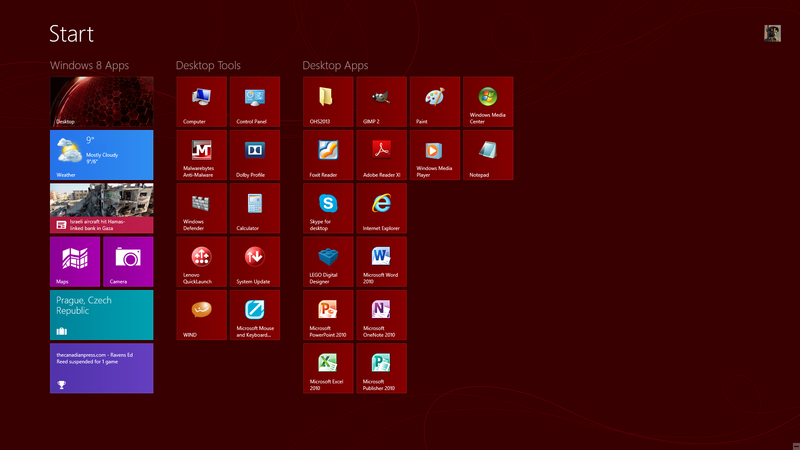 In Windows 8 the desktop is treated as an app in which you can install and run other programs. 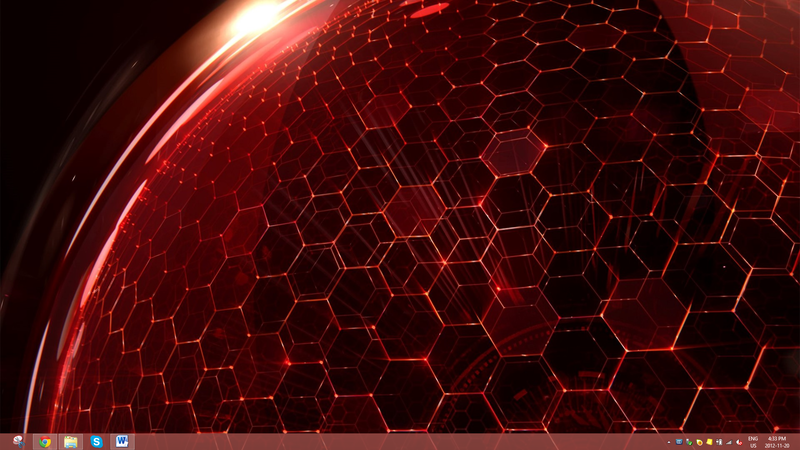 In its essence, however, it’s still the same desktop as the one in Windows 7 and before. In fact, the desktop looks remarkably similar to the one found in Windows 7, aside from one element that is missing—the start button. In Windows 7, clicking the start button would open the start menu, but that is gone in Windows 8—instead, the start menu has been replaced by the start screen, the first screen seen after boot. To get to the start screen, you must click the bottom left corner of the screen. Apps not shown in the start screen immediately can be pinned there by accessing all apps with a right click. So, mousing and clicking the bottom left corner opens the start screen. Mousing to the top left corner allows for app switching—Windows 8 type app switching that is. (Again, the desktop is treated as an app itself.) Mousing to the right corners opens the charms bar, a new feature in Windows 8 that allows access to common functions such as devices, search, and start screen settings. If you have a PC right now, should you upgrade? Performance-wise, Windows 8 is much faster than Windows 7—working around the OS is a breeze. The new start screen and the loss of the start menu may annoy some, but it is extremely easy to install something to get around this. And besides, going into the start screen isn’t necessary for the most part except at boot. If you bought a PC after June 30th this year, definitely go for it, since the upgrade is only $15. Otherwise, it’s still only $40, which is a great deal considering all the performance enhancements and the new features in Windows 8. And, if you have a touchscreen, there are plenty more gestures available for use. It’s a sharp departure from previous versions of Windows, but if you take the time to get used to it, the rewards are more than worth it.